Pallet Safety Support Bars are generally used with pallet racking. 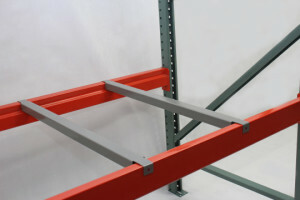 They are an affordable way to provide a safe foundation for stacking pallets into a pallet rack. With the support bars in place, the pallet does not need the strength to span the gap between the beams. The pallet will be at least partially supported by these horizontal bars, and they are an affordable alternative to wire decking. Create an extra level of protection from your work environment with our TufGuard, Guard Rails, Thoroughly constructed from heavy-duty 10 gauge corrugated steel rails (same as those used in California highways) and mounted to universal structural steel columns. 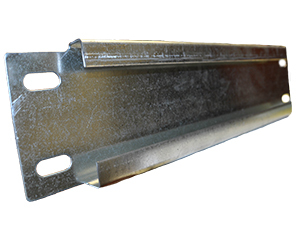 Our guardrails are made to absorb the impact exerted by forklifts or other mobile equipment. Shelf Master is an authorized dealer for Handle-It standard Rack End Protectors which provide superior protection to the end of the aisle rack columns in your warehouse. 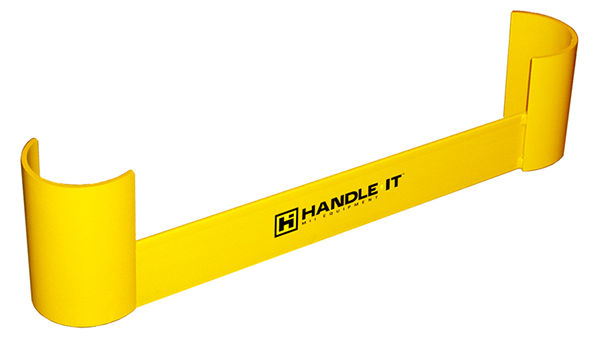 The Handle-It Standard Rack End Protectors are designed to withstand impact from forklifts along with any other machine traffic throughout your facility. It is important to preserve the integrity of the racking systems where inventory is stored.